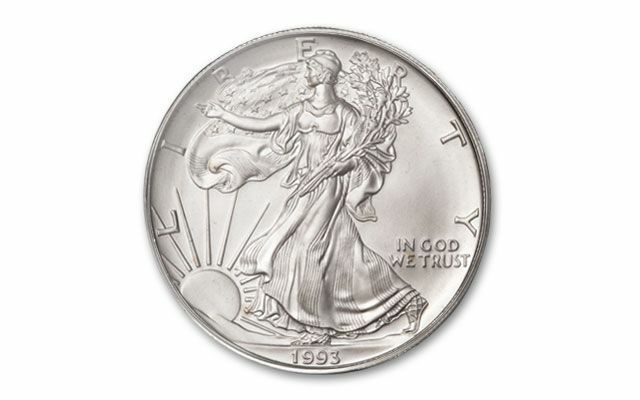 America’s finest silver is displayed in all its glory with the 1993 American Eagle Silver Dollar. Every year savvy buyers stash these away. Each is struck in one ounce of 99.9% fine silver and is in near-flawless MS69 condition. 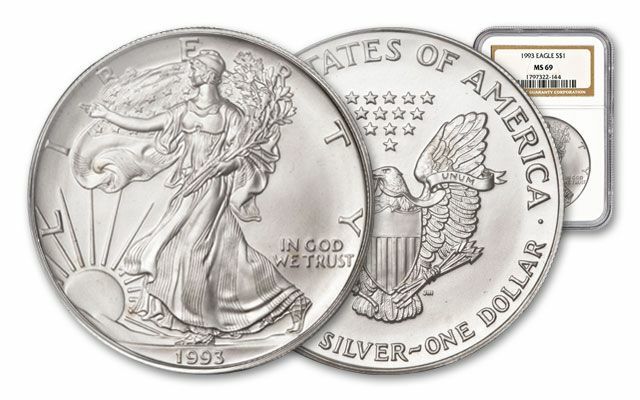 Reversing a three-year downward trend, the price of silver rose significantly in 1993, prompting the U.S. Mint to increase mintages of Silver Eagles bullion coins to nearly 7 million. On the proof side, however, mintages fell. In fact, at a quantity of slightly more than 400,000 coins, the 1993 Proof Silver Eagle was the second lowest mintage of any regular proof coin in the series. 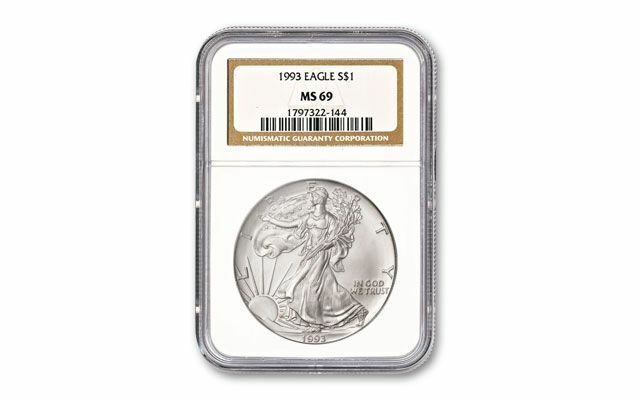 Silver Eagle proofs were minted in Philadelphia for the first time in 1993, and thus they are struck with the "P" mint mark. 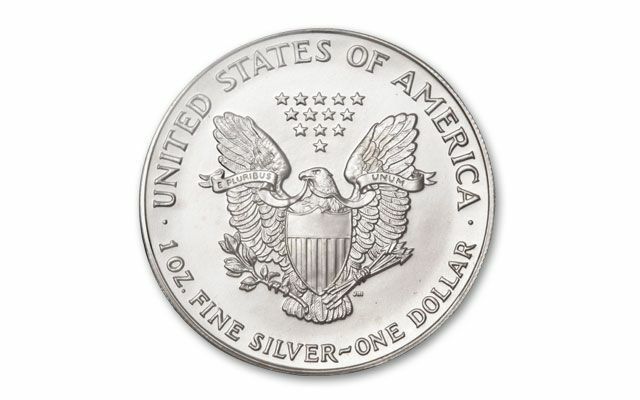 The obverse face of the 1993 Silver American Eagle features "Walking Liberty," an image by American sculptor Adolph A. Weinman that originally graced the half dollar coin from 1917 to 1947. Lady Liberty is depicted with one arm outstretched, the other cradling oak and laurel branches—a tribute to both the military and civilian population—as she walks boldly toward a new day. With a face value of $1, American Silver Eagles are often considered the modern day version of the silver dollar. Many collectors seek to assemble an entire set of American Silver Eagle coins by acquiring one coin from every year of mintage. The overall average price of silver during 1993 was $4.31 per ounce.